Stay close to Penn State University at one of our five modern hotels. 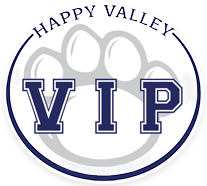 Our Happy Valley VIP hotels provide comfortable living spaces designed to make you feel at home. Drive just a few minutes and find yourself at exciting attractions, delicious food, and state colleges. Our Hampton Inn & Suites Williamsburg Square, located in State College, PA, provides all the comfort you’ll ever need as your home away from home. Whether you're here for a vacation or a business meeting, you can enjoy all the modern amenities you’d expect from the Hampton brand while remaining in close proximity to everywhere you want to visit in town. No matter what brings you to State College, you'll appreciate the SpringHill Suites State College exceptional, thoughtful amenities. Offering separate places to work and relax, these suites are filled with extras you'll love. Fairfield Inn & Suites combines the amenities and accommodations you want with the convenient location you need for the ultimate Happy Valley experience. State College has a lot to offer, including incredible college sports action at nearby Penn State. Nestled within the secluded pine trees of Central Pennsylvania, Toftrees Golf Resort offers guests a unique experience with resort-like amenities in a peaceful, natural setting just minutes from downtown State College. Our resort offers full-service amenities; a 4.5-star, 18-hole golf course; and a warm, welcoming staff.